You may or may not know about the B range of skincare from Superdrug. It is a complete range that covers skin in all its stages and B Strong is stage 5 in the range that covers skin at 60 plus. 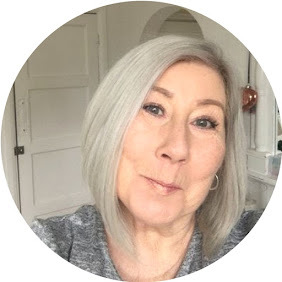 As You know I recently wrote about a fabulous report that was complied by Superdrug on the thoughts of women over 50 on beauty, ageing and skincare, you can read it here , I personally found it really interesting. The aim of B Strong is to rehydrate, redensify and recushion your skin after the age of 60, I love the idea that the range covers all ages and doesn't stop at 50 like most skincare, if you have never experienced own brand skincare from Superdrug you really are missing out, during my 2 plus years blogging I have tried out quite a bit in the own brand ranges and have never been disappointed, you are getting good quality products at super bargain prices, with no millions of pounds being given to air brushed supermodels in advertising campaigns, just good value no frills products that work. Currently there is a Day Cream and Night Cream in the Phase 5, I am rather hoping to see a cleanser and a serum introduced, and for me that would be the range pretty much completed in terms of a good basic collection, as you know I always think of eye creams as an add on rather than an essential, but that's just my opinion. Used directly after cleansing I found this cream to be rich but not greasy, it absorbed into the skin easily without leaving a heavy residue, it did leave a very slight film which made the application of foundation easy without primer. I used this on my face neck and decolletage, I did use it around my eyes, but take care not to get it into the eyes, to be honest at the price it was easy to be generous with the cream without feeling guilty, my skin definitely had a bounce to it and looked fresh and hydrated, but the thing that impressed me the most was that the hydration levels lasted, even on a full day out my foundation pretty much stayed in place, and I suffered with no dry patches or "oranging" of the foundation which can often happen once your moisturiser disappears or stops working. It truly does what it says on the box. Well, if you are anything like me being without reading specs on in the bathroom or bedroom has in the past seen me applying the wrong products by guessing which jar I am picking up, how many times do we do this with shampoo & conditioner when they come in the same packaging ? I'm not sure if this was intentional for us focally challenged people but it was a good move on the designers for Superdrug ! Again used directly after cleansing, the night cream is much richer and more luxuriant feeling than the day cream, it leaves a much heavier film on the skin although still not greasy and sticky, you don't feel as though it is going to slide off in the night. Again I used it on the eye area, down the neck and way way down the decolletage, almost to nip level ! on waking my skin was truly soft and bright with dare I say a more refined texture, I have seen similar results from night creams costing 4 x the price, so the adage *you get what you pay* for is blown straight out of the water ! With both of these creams I have not tested them for months so cannot give you long term results, I wanted to get this review out to you so that you could take an advantage of the offer that is currently running. I cannot imagine anyone being disappointed with these creams if you are looking for good value skincare at 60 plus. Post contains Brand/Agency samples, may contain AF links. Every time I go into Superdrug ( Windsor and Maidenhead) they do not have this in stock. Also online they say it is unavailable so how is one supposed to buy it!! !